Given the sky-high prices of new recreational vehicles and their quick depreciation, it makes sense for buyers to put their money into salvage recreational vehicles. Although investing in a damaged motorhome for sale can be a wise decision, you still need to be careful when it comes to making your pick. Many of the used recreational vehicles and damaged motorhomes available may have certain latent problems. To help you make the right choice, we share a checklist of the things to check when buying damaged motorhomes for sale. Read on. Tires are easy to inspect. Look for small cracks in between the treads. Although some of the cracks may be superficial, they can deteriorate the tires over time. If the tires are cracked or worn out, you need to replace them to avoid breakdowns and accidents. In such cases, include the cost of replacement in your budget. As many recreational vehicles gather dust for extended periods, there is always a risk of rodent damage. When buying a damaged motorhome through an RV online auctions, it is important to look for any signs that may point towards the problem. Pull up seat cushions and look in storage spaces. Rodent droppings can be a health hazard and can also damage the interiors and circuitry of motorhomes. The appliances of RVs are expensive to replace. If you are wanting to buy a salvage or recreational vehicle through RV online auctions, make it a point to check all appliances, such as refrigerator, water heater, oven, power outlets, or other systems that are important to you. If any of the appliances is not working, include the cost of repair in your budget for buying a used recreational vehicle. Floor is another aspect to check when buying damaged motorhomes or RVs for sale, as it is usually surfaced with plywood. To inspect, take a small screwdriver and slightly push from underneath to see if the material has any signs of decay. The floors of many RVs are constructed using particle board that deteriorates easily when exposed to moisture for extended periods. If the floor flexed or feels mushy, it may require repairs. Water damage is easy to smell or spot in any vehicle. If a vehicle smells musty or feels damp, this is a major indicator of water damage. When buying a salvage recreational vehicle, look for signs of water stains on wood, near air conditioner and around skylights. Push the sides by exerting pressure to determine the signs of damage. If you notice any damage, get it fixed before you find yourself facing a major issue. 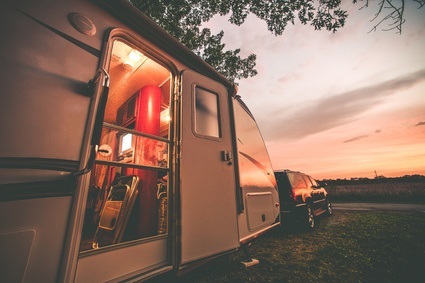 Inspecting a used recreational vehicle before finalizing is essential to make the right deal. If you are looking to buy damaged motorhomes for sale at online auctions, your search ends at AutoBidMaster. We carry an extensive listing of damaged motorhomes for sale and salvage recreational vehicles to suit diverse needs and budgets. Check out our inventory and register to start bidding. To get more information on our bidding process or any of the damaged motorhomes for sale listed with us, simply call +1503 298 4300 or fill out our contact form.